Meet outside at the ramp facing the lake. in the conference room led by Chris Kindle. interested in joining the church. help with prep, serving and cleanup. Call 382-1121.
and on Wednesdays at 1:00pm. 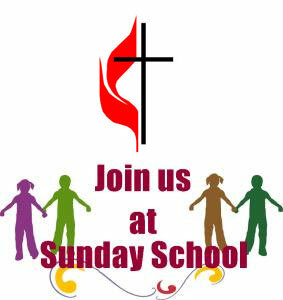 SUNDAY SCHOOL PAGE ON THIS WEBSITE! as part of this year's decorations. please contact Ginny Trimble at 814-573-5070. Thank you. The 2019 chart is hanging in the Narthex. Be sure to sign up now if you would like to have the Alter Flowers.